This came a couple of days ago, from a conversation I was having with a vet whose client wants her horse to come here. When he first called, we had a good chat with me explaining what the elements of rehab were and him giving me the background on the horse. He was very positive about the horse coming here and I offered to send him the detailed information on Project Dexter, as I always do, and a synopsis of what rehab involves. The Original Flynn, who went home in August, has been running a campaign on Facebook to get himself recognised as "Horse of the Week" ever since I (unfairly) inaugurated this modest award after he had already left Rockley. Well, this week is definitely his week - especially after his human admirers (of whom there are of course too many to mention) took these great pics of him out and about at home. Following my post about Paul earlier in the week, Caroline put up a good comment, and one which I suspect voiced what a lot of people are wondering. I'd posted that Paul had been regularly trimmed and that there had been no changes in his diet or environment. She said: "But maybe its a lack of correct trimming???" Caroline went on to say that if a horse is not trimmed so that the frog is in contact with the ground, that in iteself can lead to weakness and atrophy in the caudal foot which, over time, results in a toe first landing and the rest, as you already know, is history. "My theory is that the frog loses contact with the floor and the back half of the foot starts to weaken. Then one day they do something which tweaks a tendon and/or ligament because the foot is no longer strong enough to cope. From then on, the horse is toe first landing due to pain in the back half of the foot from the tweak, and everything goes downhill from there. The horse is suddenly lame, but I believe that it is gradual weakening over the previous months that actually caused the lameness. That's my theory, and I trim to keep my own boys frog in contact with the floor standing on concrete because of it. Each of the 3 barefooters who have come to you for rehab has had heels which are preventing the frog from being in contact with the floor (as well as an underdeveloped frog). Paul's photo above is a good example. Irrespective of the quality of the frog, the heels are too high. 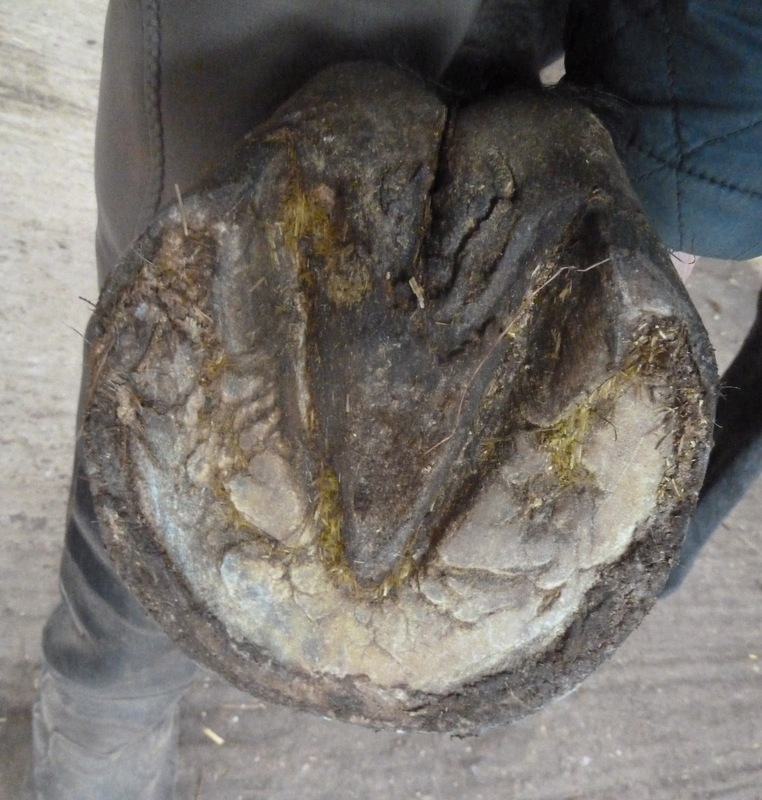 It really does look to me like a pattern beginning to build ........"
She is correct that about the high heels/weak frogs - that is true of every horse who comes here, whether shod or barefoot. In itself thats not surprising, because all the horses who come here have pain which is located in that area of the hoof. They take pressure off that area, land toe first and the caudal hoof weakens. 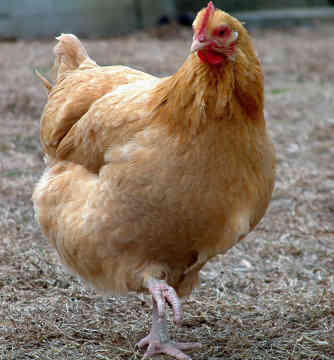 For me, though, the $64,000 question is which is the chicken and which is the egg - does the high heel/weak frog cause the toe first landing OR does the high heel/weak frog occur as a consequence of a toe first landing? Why is this important? Because it makes a BIG difference in how you deal with the problem. This is dear old Ghost, my late lamented eventer who taught me an indecent amount about hooves. 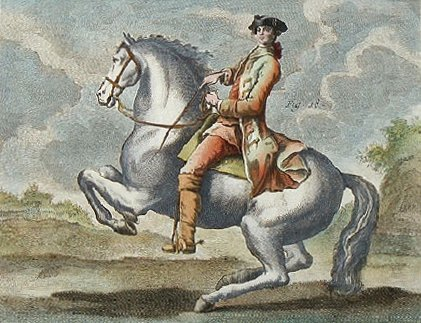 There is more about him here, but like most navicular horses he had an incredibly weak caudal hoof immediately out of shoes. One of the things I learned early on was that - while he was in rehabilitation - I couldn't back Ghost's toe up (or trim his heels) because to do so made him less sound and slowed his recovery. When I had learned a bit more about anatomy, the reason was clear - the navicular meant he had pain in the back of his hoof (in his case bone changes but almost certainly DDFT damage too) and if I tried - by trimming - to put more weight onto the frog, digital cushion and the bones and soft tissue of the caudal hoof, he couldn't cope. The area wasn't yet strong enough to deal with greater stimulus. 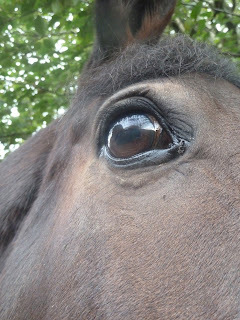 The same issue arises with any of the rehab horses here - they have already had injuries and arrive with lameness and weakness in the caudal hoof. 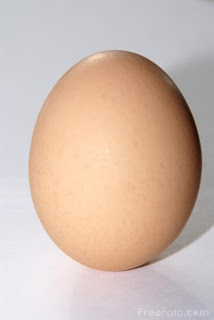 Which brings me back to Caroline's question. She trims her own horses to ensure that the frog is in contact with the ground, but her horses are already sound, have robust hooves and can obviously cope with the added stimulus. It would certainly be possible for the sequence to be - as Caroline theorises - high heels > weak caudal hoof > lameness. If this was the sequence, then very careful trimming might be helpful once the lameness had improved BUT in Paul's case I am fairly certain that the sequence was different and the high heels/weak frogs are effect, not cause. I can be certain with Paul because - since he came here in September - I saw his hooves only a few weeks ago, and at that stage he didn't have high heels or weak frogs. He was in work and it was only when Clare was away for a week that he suddenly went lame. So in his case, at least, my guess is that it was something more sudden which re-aggravated his original injury. Over the next few weeks, he landed toe first because of the caudal hoof pain, and the result of that (not the cause) was high heels and a weaker frog because of lack of stimulus. 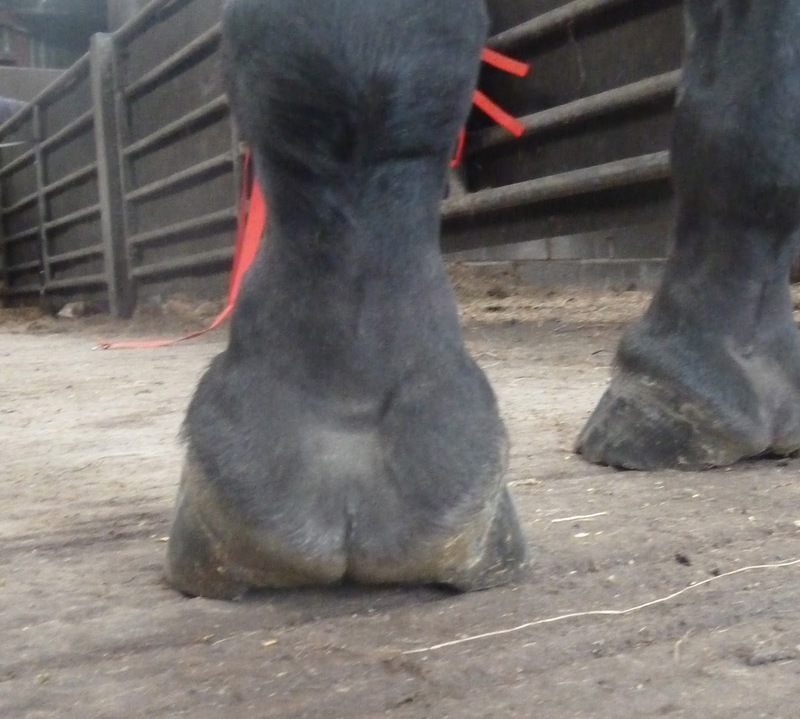 Its for this reason that I am not happy to lower his heels with a trim - because to do so would increase the load on his caudal hoof and - in his case, at the moment - would most likely make him lamer not sounder. Over the next few weeks though I would expect his frog and the whole caudal hoof to become much more robust. As part of that process his heels will lower and the frog will beef up, but at the moment its not that there is too much of Paul's hoof - its that there isn't enough! Last week I posted about the new love of my life - straw pellets (the details for the company are on that post for those wanting to order or enquire). This week, I've got what I think is another really useful piece of kit to recommend to you - a hot shower for the yard. I'd been keeping an eye out for a replacement and saw this on Facebook over the summer. 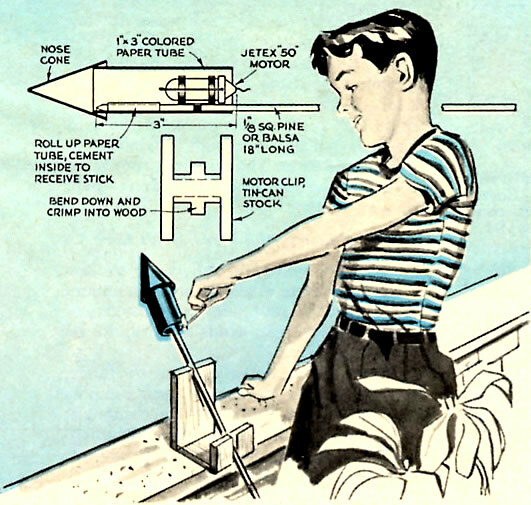 It runs off gas, instead of electricity, and hooks straight into the existing water supply so there is better pressure. There are some glitches. The gas ignition is via 2 D batteries which is fine in principle but it eats battery power so you need to remember to switch it off after every time you use it or you have a lot of (expensive) dead batteries. It also comes with a lack of good instructions so you need to work out pretty much on your own how everything fits together which is probably easier for some people than for me... Finally, because it costs the best part of £200, you need enough horses to justify the expense. 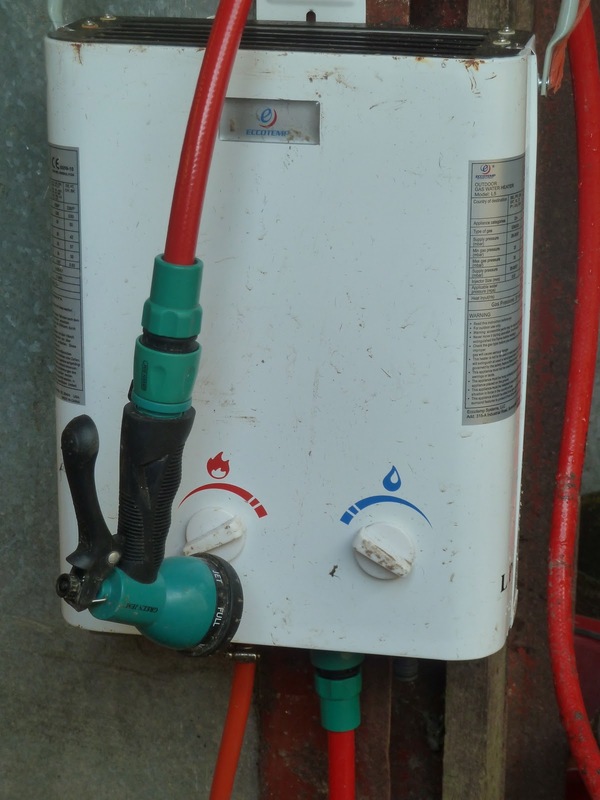 On the plus side, its fantastically useful to have readily available hot water, the hose is heavy duty and long enough to reach most bits of a horse without difficulty and the spray supplied has several different settings so you can have a single jet, a fine mist or anything in between. Its proved to be great for washing off cuts or scrapes and marvellous when you have wet, muddy horses to clean off after hunting. Even horses who hate being washed off (like Dexter and Bailey) stand under the hose with a blissful expression when they realise its warm, and its got to be a lot better for tired muscles too. This is the video the company have made - and the shower pretty much does exactly as it appears to do here. If anyone is interested in acquiring one, the company's Facebook page is here and they are very helpful. We had a "rehab return" last week - Paul, who was here in November 2009, has come back to Rockley for a short winter break ;-) When I first met him he had been lame for a long time, with persistent problems in his LF . He went home in Feb 2010 back in full work (he had a day's hunting as his last day!) and has had a busy time since then. 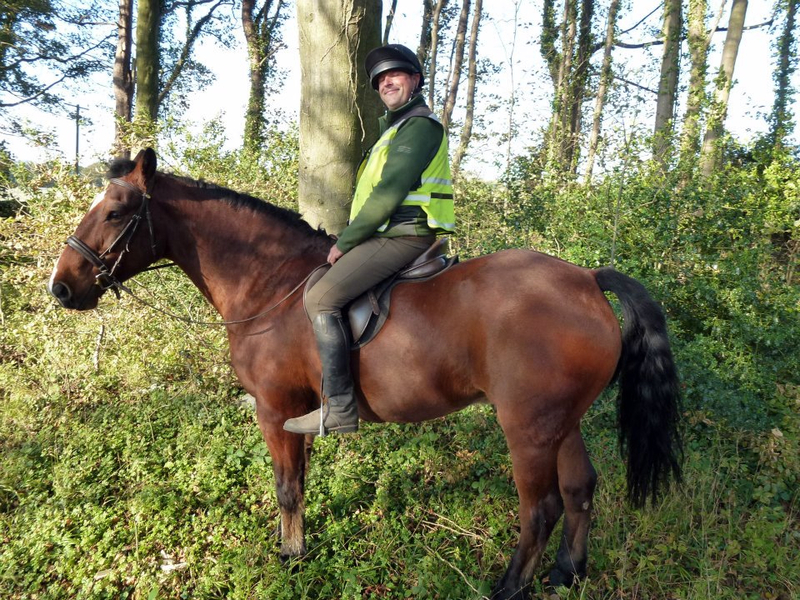 As with every horse, there have been ups and downs but Paul's life has been active and he and his owner Clare have achieved a lot. Paul came back this September, for the RRR, and at that stage he was landing and moving well (despite a nutritional blip over the summer) but for some reason (and we may never know exactly what the trigger was) he became lame in October. 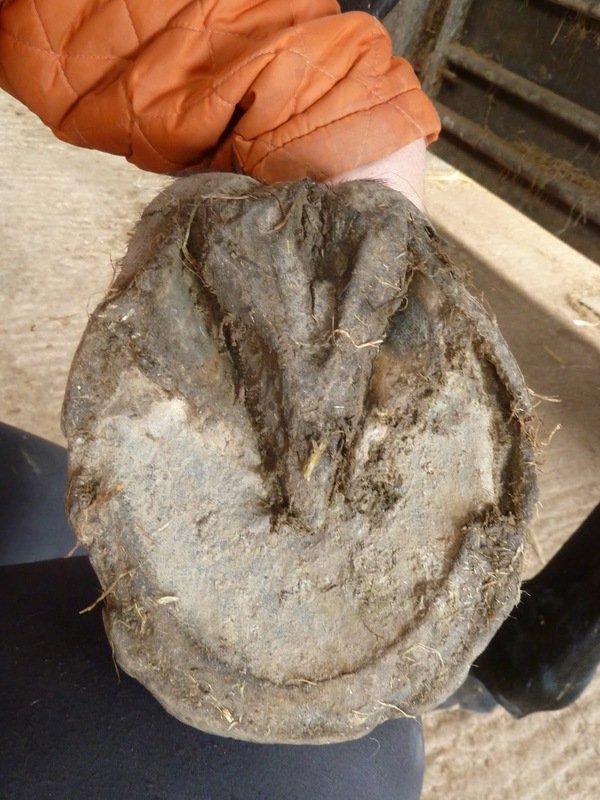 Paul's hooves changed radically over the time he was here in 2009 and Clare is now extremely well versed in what makes a hoof healthy - or unhealthy. She had already spotted a few weeks ago that his caudal hoof had weakened and that he had lost his good heel first landing. Its probably worth adding that he has been trimmed regularly all the way through, so its not a lack of trimming that has caused the change(!). Here is his LF when he arrived a week ago and sure enough, as Clare suspected, his frog has become weaker and is no longer playing a primary function, particularly on a hard surface. His overall hoof balance is still good though, and importantly his digital cushion is extremely robust - 2 years of hard work barefoot are still paying off! 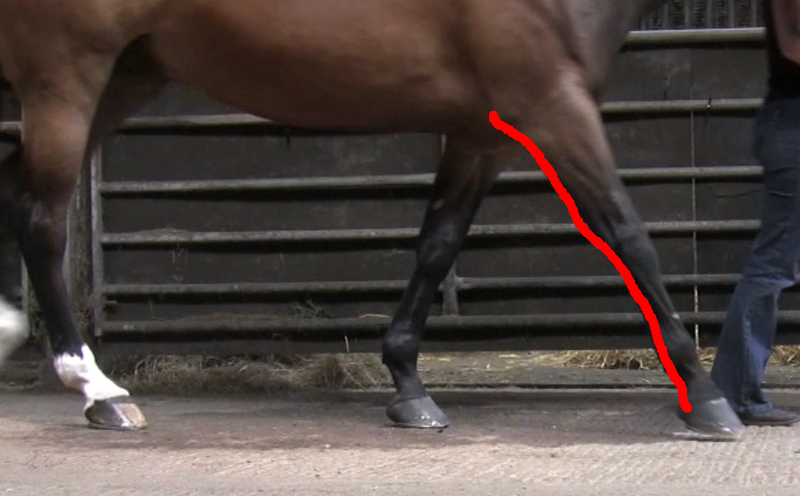 Look how much stronger his foot is when he returned last week (above) and at the hoof pastern axis, which is radically better today than when he arrived in wedged shoes in 2009 (below)! The sort of strong base he has now makes it so much quicker to improve hooves. Both Clare and I were sure it wouldn't take long to get Paul back on track, especially as he has such a fantastic attitude and is such a determined little horse. We don't know exactly what Paul has done but its possible he has re-injured the same area that was originally a problem. 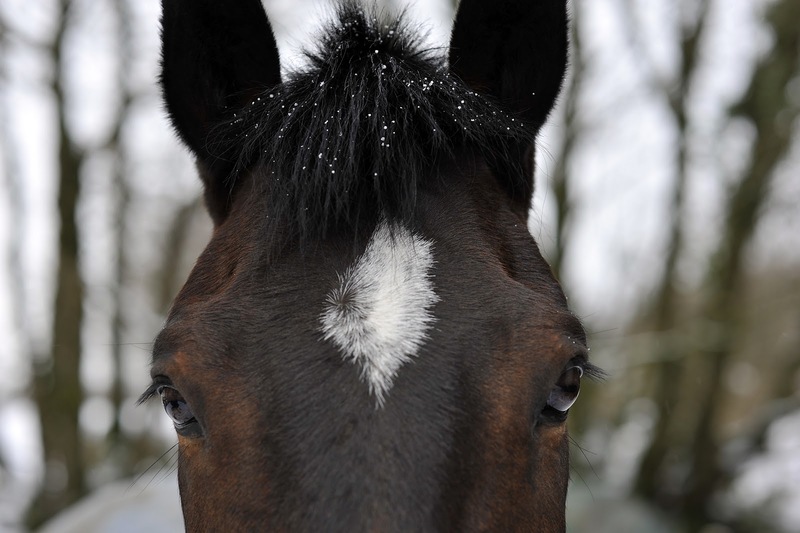 We know that most horses with his original problem in fact have soft tissue damage within the hoof and its true that horses who have previously suffered a tendon or ligament injury are prone to the same area being re-injured. This is because once an area has been damaged, scar tissue forms which is less elastic. Clearly, if a hoof like this starts to land incorrectly again, damage will happen more quickly as scar tissue is less able to sustain incorrect stresses (such as a toe first landing) than undamaged tendons or ligaments. However, if we look at Paul's changes over just the last week its clear that - with a healthy hoof structure already in place - he is already starting to bounce back, and much more quickly than he did straight from shoes. This handsome fellow is Mr Knightley, a new arrival who wins the "Rockley Air Miles" award for the most arduous trip to Exmoor. He was in quarantine for a month then flew from Dubai to Heathrow, finally touching down here at 1am last Friday morning! His feet are interesting - his heels are under-run and his hairline at the coronet is distorted on both, worse on the LF. His front feet have a medio-lateral imbalance which is confirmed by x-ray and unfortunately he also has soft tissue damage to his hind feet. 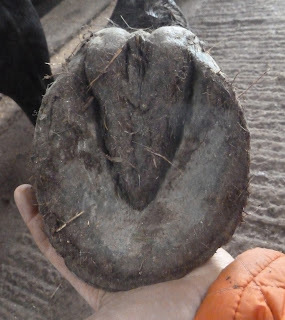 His feet are proof that a desert climate in itself doesn't necessarily guarantee healthier hooves, especially - as his owner points out - if a horse spends more time in a box than moving around(!). As you can see, he has quite a deep central sulcus infection and its one of the factors in his weak frogs. Its a catch-22 - discomfort in the frog means the caudal hoof doesn't engage so over time it tends to become weaker and as you can see the frog is not touching the ground at all as the front hooves load on a concrete surface. The solar view just confirms what we've already seen from the top. The foot is actually quite shallow but there is a build up of dead sole. I won't touch that, as it will wear away on its own over the next few days along with the unbalanced hoof wall. 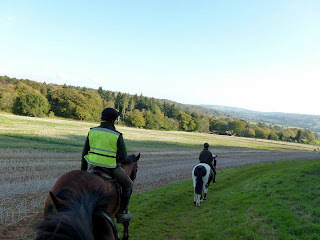 For now, Mr Knightley is getting to grips with being turned out with a group of horses, which is a new experience for him, and much more freedom than he has been used to. As with most horses who come here from box rest or restricted movement, the key is to allow him to move but on the most supportive surfaces, and as calmly and quietly as possible, with only gradual increases in the space he has access to. Massive thank you to Debbie, Paddy's owner, who came up to visit him today and brought me this fantastic polo shirt :-) I LOVE IT!!!! A few updates came in on former rehab horses while I was off line, and I wanted to cram other stuff onto the blog this week so they have been postponed, but I thought might be an ideal blog post for the weekend! "I thought I would drop you a line to say that Lady is doing really well, she is now chilling in her field all week and enjoys light hacks at the weekend. We have had no problems with her for months now and limiting her access to grass has meant she has remained sound throughout! This is the first summer we have enjoyed her to the max and Lauren is now super confident. 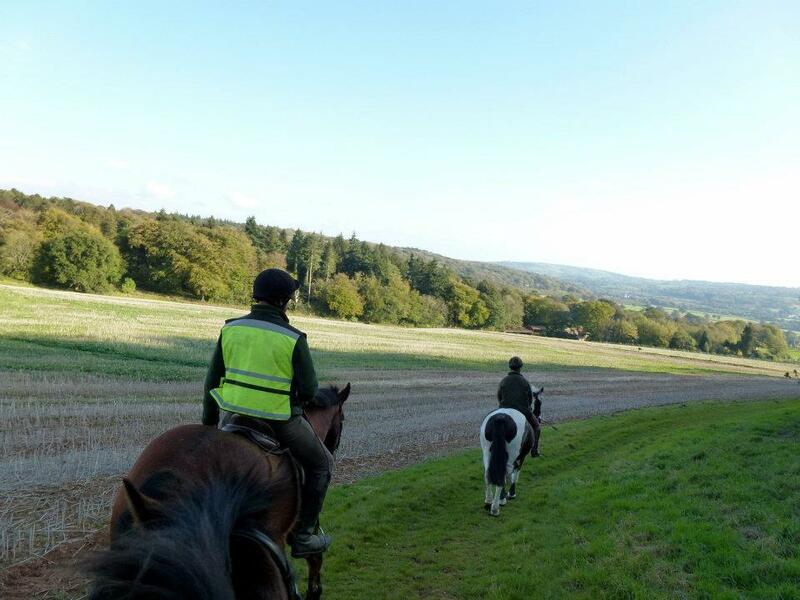 They are a great team to watch charging all over Dartmoor!! We have stuck to the diet you gave Lady last year and all though we cannot get her out enough to self trim Jane was down last week and thinks she is doing great." Well done to the whole family, and of course to Jane Stevens, who is looking after Lady's feet. Also good news about Oscar and Dilly, who continue to go from strength to strength. Their feet are "overseen" by farrier James Nash and its been very helpful to chat to him about their progress. They are doing so well that they are even inspiring others on their yard to consider going barefoot - leading by example is the way to go! Every now and then people make strange remarks about her being barefoot and ask why I'm doing it, and I find myself starting our story with 'well she was diagnosed with navicular syndrome' without a second thought about it, its only when I see their shocked faces that I remember the stigma attached to the word, I've forgotten that its something to worry about"
Frankie and Cristina are jumping XC - they have failed to get any photos - but its fantastic to hear about, even without illustrations! Lucy is still amazing everyone with her ability to cover any terrain with her fab new feet - she has now grown a whole new hoof capsule and is apparently having a wonderful time up in Yorkshire. Finally a real blast from the past - Blue, who was here in 2008, and whose owner I lost touch with, is apparently doing marvellously. 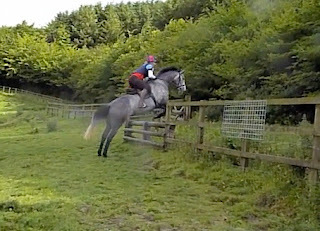 I caught up on his news via an owner who knows him and is interested in sending her horse here - small world! I've also got news about Paul, who first came here 2 years ago and has returned for a short break - but he will get a blog post of his own plus foot photos! 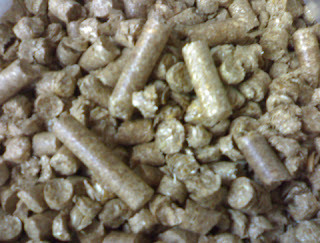 Today's product looks and sounds rather mundane, but it is rapidly becoming a huge favourite...Straw pellets! It was Sez on the UKNHCP forum who first posted about them and I was intrigued. Previously I've always used straw for bedding - I've had concerns for a while about shavings, given that we spread our muck-heaps on our own fields and shavings take forever to rot down properly - but straw has some drawbacks. Its awkward stuff to handle and gets everywhere, some horses will eat it (though not here, usually, as they have ad lib haylage) and its not terribly absorbent. For one horse in a box its ok, but as I have lots of horses coming in and out of the barn, there is a tendency for straw to be spread everywhere. Up till now, the only alternatives seemed to be miscanthus or hemp - better and safer than shavings in terms of the muck heap but too expensive for the numbers of horses I have here. And then I found out about straw pellets...I ordered a tonne from this horse bedding supplier, who are extremely helpful, and the pellets have now been down a week. They are fantastically easy to handle and create very little mess (a LOT less sweeping is now required - hurray!) but form a solid, warm bed which the horses seem very comfortable with (they look knobbly here, but break down quite easily). Even with several horses coming and going in, the bed stays intact, with no holes or bare patches and the horses don't seem to take it out with them when they move about either. Mucking out takes a fraction of the time as there is no need to rummage in piles of straw and its so much more absorbent that there is no longer the tedious daily chore of taking out all the straw and having to sweep out wet - you can see exactly where the wet patches are and just lift them out. One other nice aspect is that the pellets smell gorgeous - good enough to eat - but although I wondered if the horses would find them tempting they seem totally uninterested, despite the fact that most would nibble the odd piece of straw. For an initial "set-up" in one of our big boxes (which are 15ft x 15ft) I used about 15 bags but I've been pleasantly surprised by how little I've had to take out over the first week, and I would expect I would only use one bag a week for a top-up - maybe less if I was on a more traditional one-horse-per-box system. The only drawback for a smaller yard is that you need to order at least half a tonne (just over 30 bags) at a time but if you can justify it, a tonne is more cost effective. There is so much to catch up on and I will blog like mad the rest of this week but for now here are some comparative photos of Flynn the Second. I posted about his and Stacy's adventure weekend here but it was so foggy and wet that I didn't get hoof photos. Anyway, here are shots of his RF from his arrival 6 weeks ago till now. The biggest change is in his frog - the heels are decontracting too but are also more substantial. They are further forward than they will be when his new hoof capsule has grown in but he's making a good start. And here is his LF from the side, again from 6 weeks ago till now. Nice new hoof angle, nail holes are gone and a much shorter toe - clever boy! 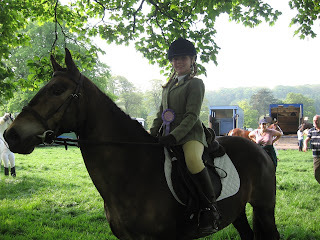 Off to do horses now and then put lots together for the blog for the next few days :-) Its nice to be back! Still no Internet so the blog can only limp on unfortunately. 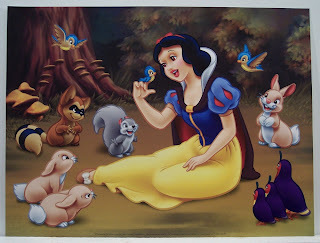 I have lots to post about but can't do it at the moment which is very frustrating! Once I am back online there will be posts about new arrivals and progress on the current rehabs. I've also got posts to put up about why toe first landings matter and how they affect the rest of the horse's body and about a few of the really useful things that have appeared at Rockley recently...! I bunked off on Saturday as soon as I had done the horses here, as I had the opportunity to go and see Marijke de Jong giving a clinic near Bridgewater. Unfortunately the organisers didn't want photos taken, so this is a photo from her Facebook page which I hope she won't mind me borrowing for the day! Last year Patrice Edwards came up to Rockley for a few days and really opened my eyes to the possibilities of improving horses through classical rehabilitation exercises and what Marijke de Jong teaches is based on the same principles. 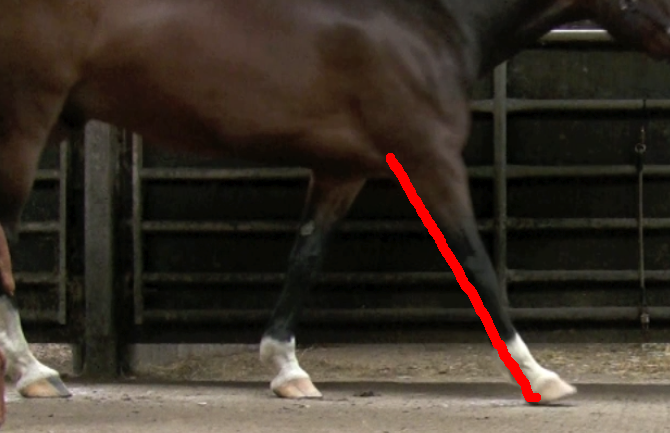 Of course all horses are asymmetric to a greater or lesser extent but I've seen with the rehab horses that long term lameness can also fix horses into patterns of crooked movement that can be quite persistent. Once horses have healthier feet and are able to start moving in a better way, then it can be very helpful to use the sorts of exercises that both Patrice and Marijke teach as a way of kick-starting more correct, balanced movement. 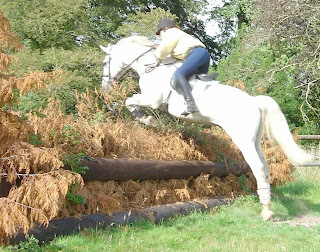 When I posted yesterday about the rehab rollercoaster one of the horses I had in mind was Taz. 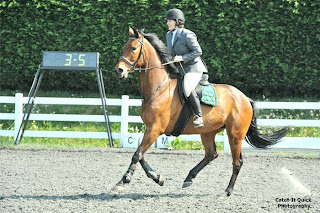 Taz is a big horse - 17.2hh - and he had a successful career as a showjumper before going to live with his present owner. He is incredibly genuine and also loves being out and about which has helped enormously because above all he likes to keep moving and see what is round the next corner. Like most rehab horses, his lameness blocked to the back of his feet so by reducing load there, both shock absorption and circulation were compromised. For Taz, everything is different now - including circulation, how his feet load and the way the whole hoof functions. If you look at the photos of the back of his LF its clear why rehab can be a rollercoaster . 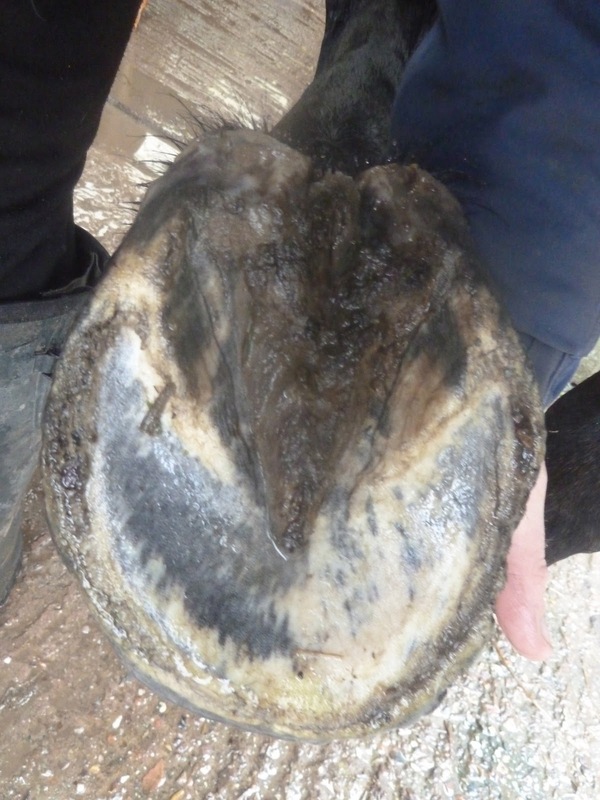 If this is the change you can see from the outside - in a 16 year old horse - imagine what is happening internally to tendons, ligaments and tissue. 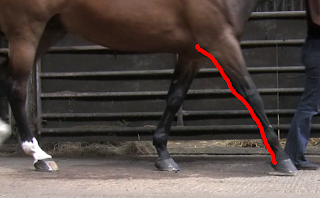 Look at the difference in the hoof wall length - the loading has changed; look at the changes in the digital cushion - the medio-lateral balance is shifting. 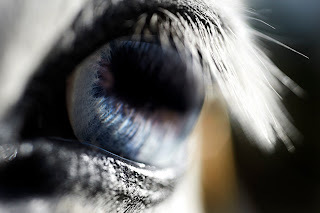 Its incredible that this can happen in such a short time and its perhaps no wonder that when hooves develop like this they sometimes throw up problematic knock-on effects. His frog looks tidy in a shoe - but as the shoe comes off, the proportions of the foot are obvious - a weak frog and a long toe, as we had already seen in the lateral photo. After 9 weeks, the frog is much more pivotal but the old damage on the sole is clear and the heels are still weak and underrun - again as shown in the lateral photo. Taz was very much on my mind yesterday as a "two steps forward, one step back" type of horse because as well as his primary front limb lameness, he also has old injuries on his hind legs. As you can see from the footage, although his LH has the most scar tissue its his RH that had the worst landing; the irony is that once his front limb loading and landing started to improve, that had a big effect on his hind legs. Now, finally - as the clips show - he is starting to land properly on his RH as well, but that too has side effects, as the compromised circulatory system in his hind legs is now having to crank back into gear and cope with more movement than ever before. Taz is representative of most rehab horses because most - despite arriving here diagnosed with a front limb lameness - actually have hind limb problems as well. Its true of at least 80% of the horses who come here. As well as their navicular or DDFT/ligament damage, some have hind limb suspensory problems, some have bone spavin, some have generalised sacro-iliac or lumbar pain; sometimes the hind limbs fail first, sometimes the front limbs. What you can guarantee, though, is that rehabilitating lameness truly is a tangled ball of string that has to be slowly and carefully unravelled. 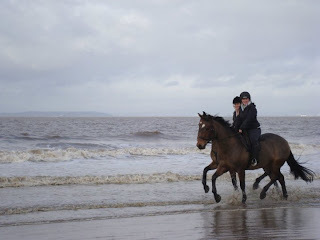 As with every aspect of life (particularly when horses are involved), there are times when things fall into place, everything goes swimmingly and you think that you're doing a pretty good job. 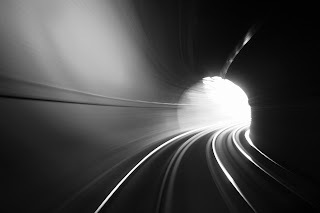 And then there are times when nothing goes to plan and somebody somewhere seems to be throwing every possible obstacle in your way. 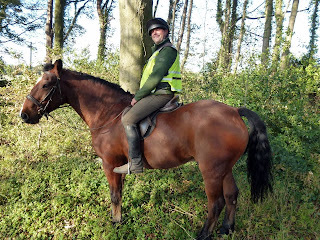 Like most people, I guess, I prefer the times when everything is going well - the easy times - the sorts of times I wrote about here - when the rehab horses are on a roll and it feels as if I have a bit-part in a Disney movie. Of course, things can't always be like that, and this week has brought a harsh reality check in the form of the sad ending to the story of Andrea and Gogo, whose blog I, like many of you, have followed for a while. Sometimes circumstances just conspire against you, and you are powerless to change the inevitable, however hard and for however long you try. Fortunately, most of the horses who come here primarily have foot problems and because hooves are so dynamic, most horses go from rehab back into full work. 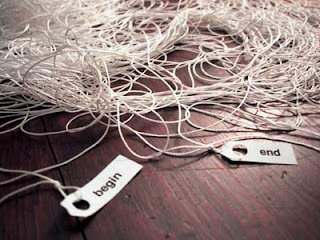 Then again, sometimes rehab feels more like this - unravelling a tangled mass of inter-connected problems and for each one you improve, there is a knock-on effect elsewhere - hind limb movement affected by front limb movement; muscles being used in new ways; increasing movement, circulation and hoof growth flushing out old, long-standing problems. You've got to remember as well that the horses here are not sound horses who are simply having their shoes taken off but horses with long-standing lameness who have often developed related problems from compensating over a period of weeks, months or even years. We have to look at the whole horse not only because the whole body is affected by the feet but because feet can be affected not only by the obvious - like nutrition and biomechanics - but by saddle fit and even teeth problems. A further twist in the rehab rollercoaster comes from the fact that horses - once they start feeling better - have a much greater tendency to lark around in the field, play wild games with their mates or go for a blast at a thousand miles an hour, all of which their limbs and hooves may (or may not) be capable of. 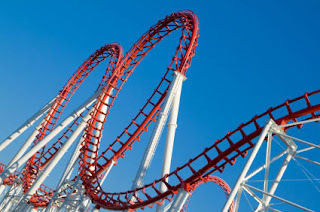 Then add in our weather (its been raining for the last 10 days) and all in all, it can sometimes make for a pretty bumpy ride. There is no doubt though that - unfortunately for me - I need the more challenging times because they tend to be the times when I learn the most and (hopefully) make changes for the better. Doesn't stop me hating going through them, though! 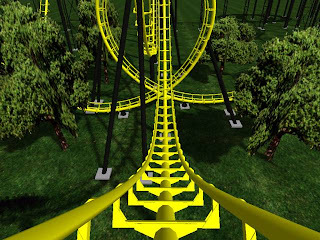 What I have learned the hard way is that there is no point getting into a panic. Rehab horses are vulnerable because their feet are normally undergoing tremendous change - weak structures are being challenged, loaded and improved and sometimes that process happens on a knife-edge. 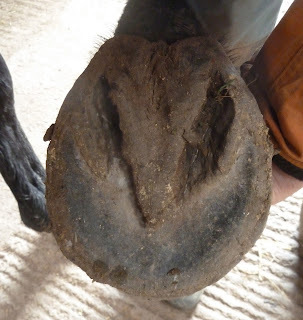 Horses with thin soles are a good example, where a fraction too much on a hard surface can cause damage and too little means the hoof is static and fails to improve. 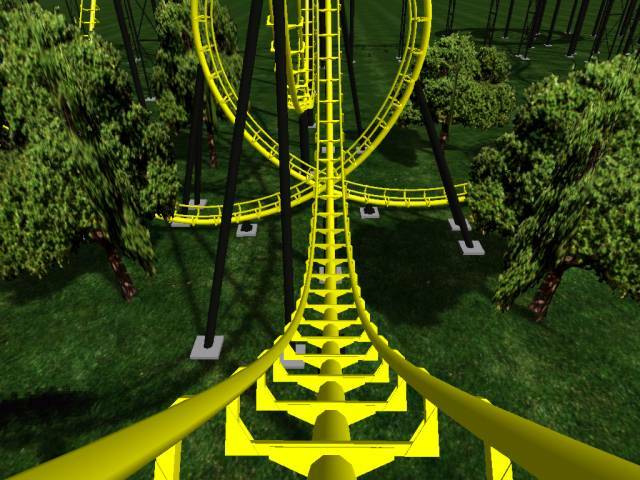 It may be a rollercoaster but it isn't rocket science. Usually, by putting in place the best nutrition we can, by providing support for weak feet and stimulus for poor structures, by encouraging the best possible biomechanics the horse, the owner and I can together get to a point where the good days outweigh the bad, a strong hoof capsule outgrows a weak one and the horse can move from a vicious circle of incorrect, unsound movement to a virtuous circle of comfortable, increasingly free movement.